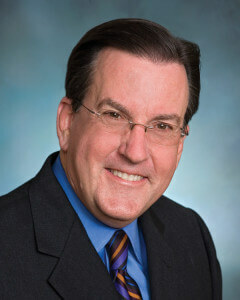 Time: Networking at 5:00 p.m., the event starts promptly at 6:00 p.m. 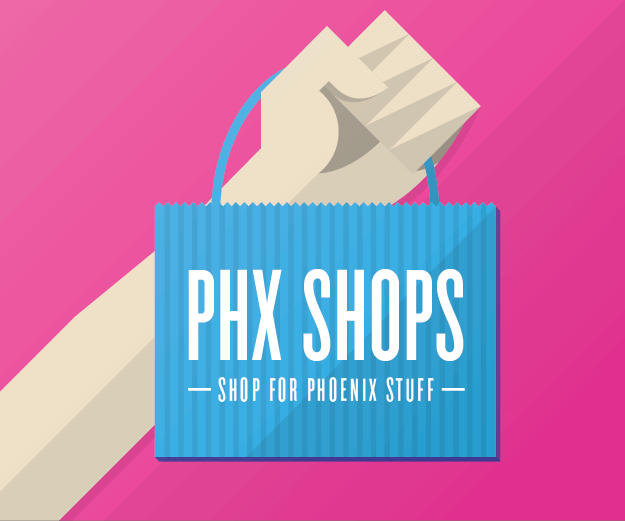 If Walgreens is located at the corner of happy and healthy, where is the Metropolitan Phoenix area located today? 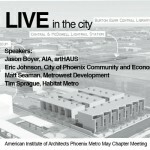 INTERSECTIONS is the 5th annual Symposium Series sponsored by the American Institute of Architects Phoenix Metro Chapter. 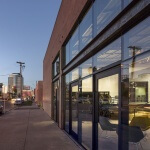 The series was founded to strengthen local architects’ engagement with the public and private interests they serve, providing a recurring venue for open education and debate on topics that affect the qualities of Arizona’s built environment. This year’s series began on April 21 with a look at the intersecting forces that connect educational pedagogy with qualitative space. Five topics remain, each with a compelling theme relevant to the often-competing forces we face as a metropolitan community. These topics include Policy + Prosperity, Center + Edge, Identity + Progress, and Intercity + Intracity, followed by a wrap-up event on November 17. Every event is hosted in a community-oriented venue to encourage broad participation from anyone interested in improving our built environment. 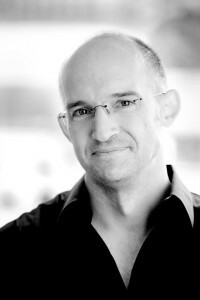 The events feature notable men and women, leaders in one or more aspects of our community that are advocates of continually elevating the role of design quality in our built environment. 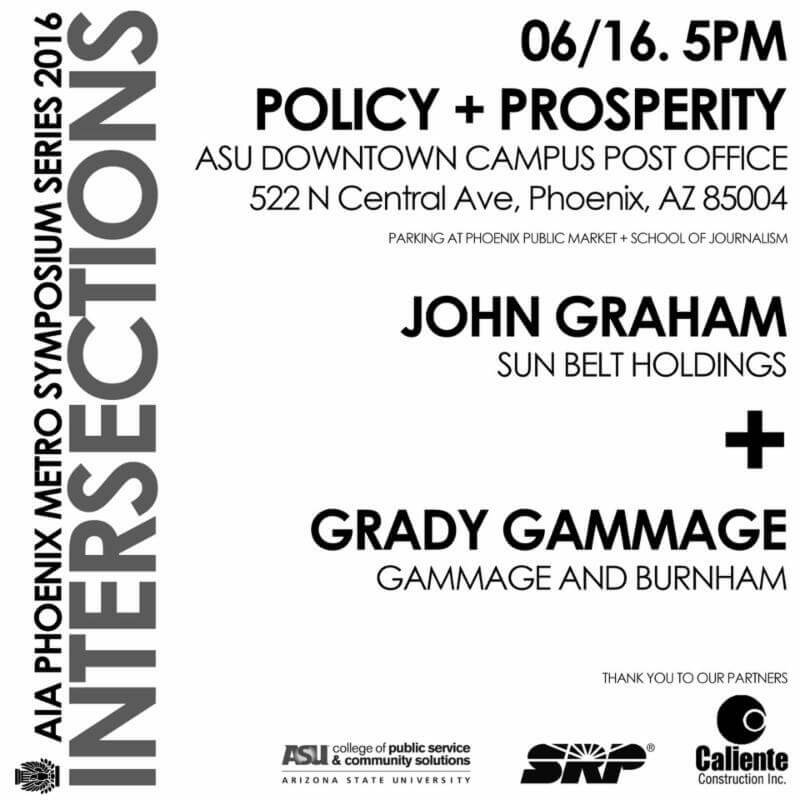 On June 16, please join the AIA as we feature an open discussion on the crossroads of Policy + Prosperity in the Phoenix Metro area with Grady Gammage, Jr., founding member of Gammage and Burnham Law Firm and John Graham, President of Sunbelt Holdings. 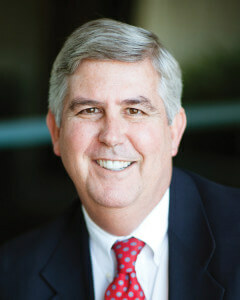 The event will be held at the Arizona State University Downtown Student Center at the Post Office. 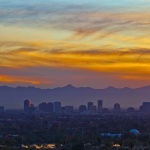 We’ll look at some of the metrics behind this economic market cycle, discuss the health of the current rental housing boom, examine the pros and cons of our available economic incentives, and uncover what policies are needed to support a high velocity economic engine in Arizona. 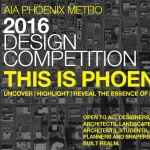 The 2016 AIA Phoenix Metro Symposium Series is open to the public and attendance is free. 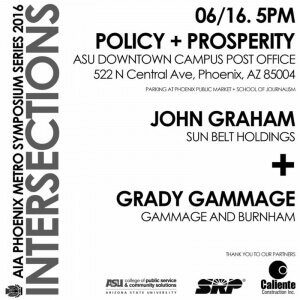 For more information and to RSVP for any of the INTERSECTION topics, email the AIA Arizona office at Diana@aia-arizona.org or call 602.252.4200. 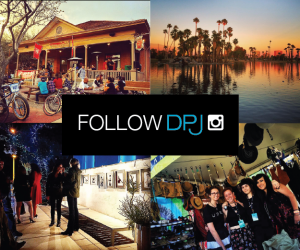 Join us in making a difference.